Established in 1986, Lark Engineering has a history of designing and manufacturing cost effective radio frequency (RF) solutions for the commercial, industrial, and military markets. An international supplier of RF and microwave filters, multiplexers, and multifunction assemblies, our absolute commitment to quality and complete customer satisfaction has been the cornerstone of our business from the start. Lark Engineering employs 175 people and is headquartered in Anaheim, California. We have an ITAR-approved manufacturing facility in Tijuana, Mexico that supplies cost-effective, high quality RF solutions for our customers. Lark Engineering’s products are being utilized in major digital and analog wireless devices ranging in use from communications systems to test equipment and military systems. We also produce filters for GPS, cellular, ISM, PCN, PCS and many other wireless applications. We offer an extensive product mix with filters and multiplexers that satisfy requirements from 1 MHz to 40 GHz. For each customer, we are committed to providing the very best quality of filters and are dedicated to meeting our customers’ microwave and radio frequency filter needs. Learn more about Lark Engineering. 1. We have been following Anokiwave for many years, you have been leading the way in the development of mmW ICs and those chipsets for 5G, SATCOM, and RADAR – What is the maturity level of the market today? From both market perspective and technology perspective, the market has moved from a concept stage to a very real demand stage. 5G is no longer a concept but more of a reality and we are seeing that in terms of real orders. In terms of technology, we are already in production with our second generation of Active Antenna ICs covering the 24/26, 28, and 37/39 GHz bands. What that means is that across the board, we are improving performance, reducing size, and improving the cost structure – exactly the things the market needs. So, from a both a market perspective and a technology perspective, we are ready, the technology is ready – it is at a mature stage, and customers are buying these parts not just to field demo units or prototypes, but for full volume production. Anokiwave is in full-volume production with both our first-generation and second-generation parts – so we are at that mature stage. 2. For 5G applications, we have seen your arrays in many booths at trade shows – what has been the feedback from customers and users demonstrating the array? The feedback has been very good, specifically talking about the arrays. When we started working on 5G ICs, we recognized early on that there would be three major challenges: 1 – moving from typical RF type development to microwave and millimeter wave frequency bands. 2 – the design architecture fundamentally changes with the adoption of phased arrays, which have been in use for decades in the Aerospace & Defense markets – very well–known technology, however in the commercial side, it’s a new technology, so there is a steep learning curve. 3 – There are many new entrants in the 5G market, so for them, the learning curve is even steeper. Those are the reasons we came up with these arrays to provide a starting platform that customers or new entrants can use to start evaluating and understanding mmW frequencies, phased array performance, and most importantly, understand how our ICs can be used to build their arrays. So far, the feedback has been extremely positive as exemplified at the recent MWC – we counted 30 live demos out of which, we believe, 23 were using Anokiwave ICs or Innovator Kits. Similarly, there was a very nice broadcast by the Discovery Channel in which they worked with AT&T to show what 5G is going to enable in the future – and as a part of that demonstration, the Anokiwave Innovator Kits were being used. So – yes feedback has been very good. The research institutes and universities can now become part of this 5G ecosystem by utilizing these Innovator Kits as well. We think that we are enabling the market by accelerating the adoption of technology for 5G by providing these kits. People can get started with prototypes, and most interesting, we are surprised every day that we even hear from Aerospace & Defense companies – even though it’s not their frequency band of interest, they want to use these kits to demonstrate technology with prototypes to win contracts and afterwards take the next step with contract awards. The arrays are accelerating the whole market, not just 5G, but SATCOM, Aerospace & Defense, and others. 3. You have recently launched a new line of single function gain block family of ICs – what was the driving force behind this new line and what unique features do the devices have compared to other? We call these Intelligent Gain blocks. 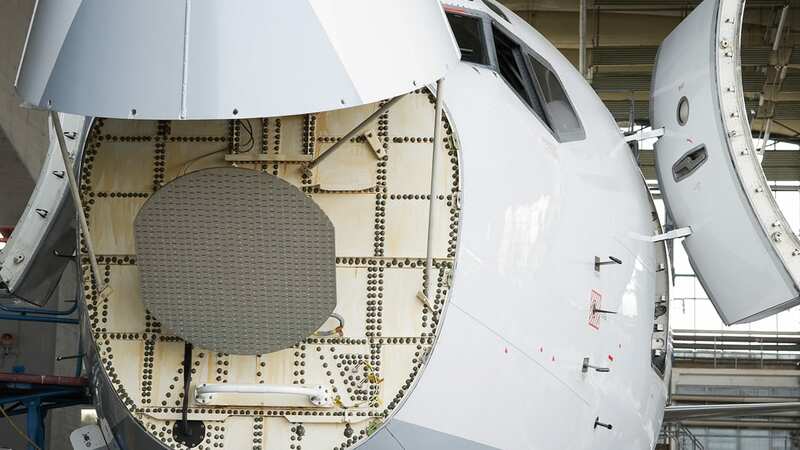 From our mission perspective, Anokiwave’s mission is – how can we commercialize phased arrays be it for 5G, SATCOM, Aerospace & Defense, or RADAR. Our initial products were the quad core ICs for Active Antennas, but as we start to think about system level design, there are many elements to consider – and this is where the single channel block comes into play. In a traditional RF signal chain, you see gain degradation and power degradation and gain blocks are used to compensate for the losses. In arrays, the same issues occur, but now phase degradation is added. So that was the main driver in developing these integrated ICs that have gain and phase adjustment that can be used across the array to compensate for gain as well as phase. As we started developing these parts, we realized that we have reached a maturity level with the silicon technology that we can meet or exceed the performance of discrete RF blocks designed with III/V technologies. For example, the IGB LNA has 1.5 dB of noise figure in Ku-band – almost equal to performance to GaAs LNAs – technically, a GaAs LNA can be replaced with an integrated block like this. As we introduce these parts, we see multiple use cases, the main driver being allowing for the compensation across the arrays, but now these parts are being considered for discrete RF functions – LNA, driver amplifier, phase or vector modulator, or VGA. Finally, we recognize that in the 5G market, there is not going to be just one type of architecture. Anokiwave recommends an all silicon, quad approach, but as addressed in the February 2018 issue, there are companies promoting the column fed architecture with multiple transmit/receive paths feeding into a single column – the single channel ICs can integrate into the entire transmit and receive path – i.e. for 10 columns, 10 ICs can be used to provide the required gain and phase control on each column, thus simplifying the design. We expect the market will be impressed with the performance of these ICs. 4. What is Anokiwave featuring at IMS in Philadelphia? We’re proud to announce that we’ve recently released a new GaAs Low Noise Amplifier (LNA) MMIC with broadband noise figure performance previously only achievable with discrete FET designs. The CMD283C3, with 0.6dB noise figure, is the first in a family of new Ultra Low Noise Amplifiers. The CMD283C3 LNA covers 2-6 GHz with high midband gain of 27 dB and output P1dB of 16dBm. The MMIC is housed in a leadless 3×3 mm surface mount package. It operates from a bias supply of +2 to +5 volts and draws a nominal 42mA. The CMD283C3 is ideally suited for S and C band receivers requiring excellent sensitivity, and as a replacement for discrete FET LNA solutions.